Jyotisman Das, male, age 2, chart #625, 14 months post op at his home in in Lakhimpur on Monday, February 13th, 2012. Jyotisman is shy around strangers but is usually bubbly, during our visit he sat on his aunt's lap. A crowd from the village gathered to see the Operation Smile interview and photography team. 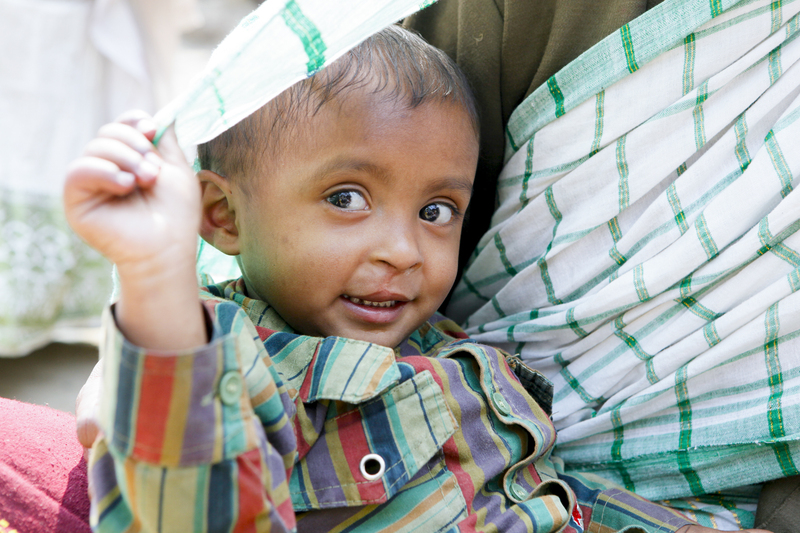 Operation Smile Photo - Jasmin Shah.